Critical temperature monitoring on apparatus with standard test corner in climatic chamber. 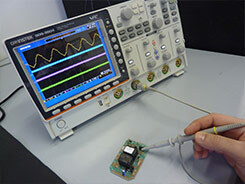 Electromagnetic Compatibility testing according to 2014/30/UE (EMC) directive, 2014/53/UE (R&TTE) directive, 95/54/EC (Automotive) directive, Regulation n°10 ( “e”/“E” markings), are executed at IASELAB Srl laboratories. IASELAB Srl in collaboration with other partner gives a solution for particular certifications or customer special tests request too. 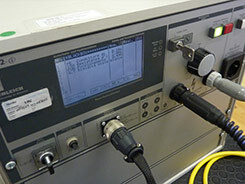 Low frequency electric and magnetic field analysis from 5hz to 100Khz (1nT÷10mT and 0,1÷100kV/m).